Aloe is probably one of the most recognizable succulents that you can grow! 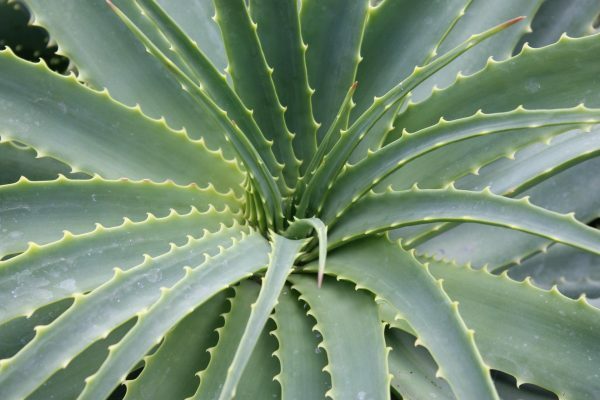 Even those that aren’t well versed in plants at all are able to recognize the medicinal Aloe vera (Aloe barbadensis), which is commonly used for skin care, and many other applications. There are many different species of aloe available, and not just the common Aloe vera. Check out all the varieties of the genus Aloe that are available on www.unusualseeds.net, and keep reading so you know how to care for these intriguing and beautiful plants! It is important to give your Aloe plant, regardless what species you are growing, bright light indoors. Typically, the more sun you give them indoors, the better. If your Aloe does not receive enough light, you will be able to quickly tell because your plant may flop over and the resulting growth will be weak. Western and Southern windows are best, but Aloes will also grow well in Eastern windows as well. North windows would be the last resort. In addition, this is NOT a plant that you can keep far from a window. All succulents need bright conditions. If you move your Aloe from indoors to outside, perhaps during the spring or summer season, be sure to harden your plant off. If you move your Aloe outside and place it immediately into full, direct sun, your plant will easily burn. You’ll need to acclimate your plant slowly. First place it in full shade for a while, and then gradually introduce it to more sun. This will ensure that your Aloe will not burn. Like any succulent, it is important to water thoroughly. Ensure that the water drains through the drainage hole, and then you’ll want the potting mix to dry out completely before watering again. 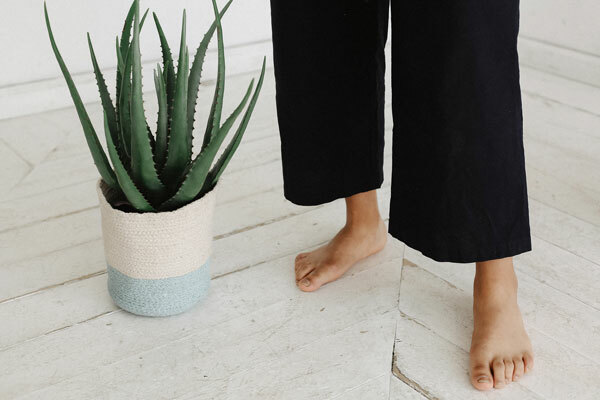 By no means should you plant an Aloe in a pot with no drainage holes! Keep in mind that the more light your Aloe gets, the more frequently you will need to water your plant. Always check the soil moisture before determining if you need to water again. I would not recommend using the “once a week” or “once a month” approach. Following a calendar to water is not a good method. Use your finger to touch the surface of the soil. Pick up your pot to see if it feels lighter. Use all of your senses to check the soil moisture level. Once your potting mix is completely dried out, give it another watering and repeat the cycle. Whatever you do, make sure that your Aloe is never sitting in water otherwise your plant will quickly rot! It is important to use a very well draining potting mix for Aloe plants. I like to use a good cactus and succulent potting mix. If you don’t have this type of potting mix on hand, you can also use another method. You can use a good standard houseplant potting mix and add additional perlite or pumice to the blend. This will increase the porosity and drainage of the potting mix, and this is exactly what Aloes and other succulents need to thrive! Aloes in general, like other succulents, don’t need much fertilizer. While the plant is actively growing, you can use some fertilizer. Just be sure that it is not too high in Nitrogen, because this may result in weaker growth. There are special cactus and succulent fertilizers which have lower amounts of Nitrogen. Or you can use a fish emulsion fertilizer with great results. Aloes are easy to propagate, because they will produce their own little pups! The pups will grow at the base of the plant. You can simply detach them from the mother plant and pot them up into their own little pot. Be sure to use an appropriately small pot for the pups. Also, even if the pup doesn’t have many roots after you detach it, it will be ok. I once planted a small pup that barely had any roots, and it did just fine. It has since grown and produced its own pups. You can use a sharp knife or scissors to cut a pup away from the mother plant. If you were not able to get a few roots on the pup, allow the pup to air dry before planting the pup in soil. This allows the cut to callous over and will protect the pup from rotting. Why not add a few of these to your collection? This entry was posted in Blog, Succulents and tagged aloe, aloe vera, caring for aloe, growing aloe, watering aloe.